Burda Worldwide Technologies GmbH was founded in 1990 near Frankfurt Main, Germany. The business founded by Jiri Burda stands for innovate infrared heating with some models even incorporating LED lights and a cooling mist feature. Learn more about the company’s history. Situated in the German city of Frankfurt am Main, company Burda WTG is a pioneer in heaters with infrared short-wavelength technology. Thermal infrared radiation is divided into three categories according to its wavelength. Long-wave, medium-wave and short-wave. Short-wave IR radiation (IR-A) is the most powerful, it does not heat up the ambient air. That is why IR-A heaters are mostly used outdoors – the warmth reaches the target independently from wind and draught. The heaters can be adjusted in angle to target a certain area which is a big advantage in large halls, rooms with high ceilings and outdoor areas. Benefits of IR-A radiation are targeted heating, immediate effect and no heat loss due to draught. Even if outdoor temperatures are rather low, IR heaters create a cosy atmosphere. more than 90 products "designed in Germany"
In 1990 then 25-year old student of business and economics Jiri Burda establishes a company in wholesale and foreign trade. The office and warehouse had a size of about 160 m2. Not much but enough to give the business an initial boost. 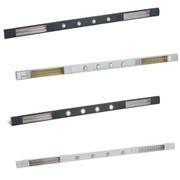 By the end of 1997 the company begins to specialize in heaters with short-wave infrared technology. This proved to be a very good decision, until that point in time long-wave heaters and gas heaters were found most often. Those appliances however lose a lot of heat to the surrounding air and are less efficient. Mostly used in the garden or outdoor seating areas of restaurants, gas and long-wave heaters consume a lot of energy without giving off much in return. Burda invests into new IR-A heaters and is the first to introduce this pioneering technology to the European market. This type of heat works independently from the weather and has no loss of heat. The technology is suitable for indoors and outdoors. A few years after the introduction of this technology Burda begins production of their very own designs and international patents. The combination of lighting and heating becomes an international bestseller, the TERM2000 and SMART product lines are an absolute success. Burda management reacts quickly to the customer feedback and soon introduces a variety of other developments, such as a state-of-the-art combined heating and cooling system PERFECTCLIME which is also patented internationally. Afterwards, the heater tubes are improved. Until summer 2012 the heater tubes emitted the typical reddish light. 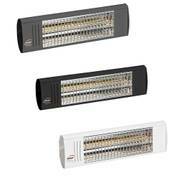 Afterwards Burda introduces new IR heaters with up to 80 percent reduced light glare. In March 2013 so-called no glare heaters are added to the range. No glare models emit no lighting at all. A huge achievement back then, no glare technology is standard nowadays. In the year 2014 the product range is further enhanced and improved with heating panels. Due to climate warming Burda also expands the cooling range. The perceived temperature near the skin is reduced by up to 12-15°C with fine mist. A useful addition to the catalogue since weather and climate are becoming more and more hot and dry all around the globe. In the first half of 2017 another milestone is set : an award-winning modular system that incorporates infrared heating, water cooling and lighting in one single slim appliance. The system can be combined and adapted in a variety of ways. The module can be used year-round in different weather situations while also illuminating softly with energy-efficient LED spots. The patent is one of the most significant of Burda’s inventions. Nowadsays Burda WTG exports short-wave heating and cooling units to over 50 countries worldwide. After the striking success of the modular system Burda enters the Asian and Pacific market. The outdoor market amounts to about 70 % of the international turnover, meaning waterproof heaters and coolers used for events, patios, gardens and cafes. Particularly in Asian and Pacific countries with an increasing tourism sector and sudden falls in temperature a quick all-in-one solution is much needed. The next goal for Burda WTG is the optimization of heating and cooling units in terms of efficiency and performance. Burda combined short-wave heaters with cooling nozzles and independent lighting for outdoor areas. Instead of setting up several appliances that might not look good when mounted next to each other, Burda offers one simple solution. The module is suitable for all seasons of the year, day and night, and has everything customers are looking for. Another benefit is that this combined unit requires less space than three individual ones. Large outdoor spaces can be heated with several units that can be combined into one system. This invention gained Burda WTG the 2018 innovation prize R + T in the category for special-purpose solutions. The appealing design of the PERFECTCLIME modules has also been valued, Burda WTG is nominated for the German Design Award 2019. I wanted to create a system that inspired customers to say, "I love my heaters"
⮩ We asked the company founder all about his inventions and career, read more in our blog.